Of the 3 remaining contestants, only two of them have significant search popularity online. Using the assumption that the most popular of the three should be the most discussed online also. While Google Insights also reports that the majority of search traffic was for Reece Mastin there is a recent spike in interest for Johnny Ruffo. 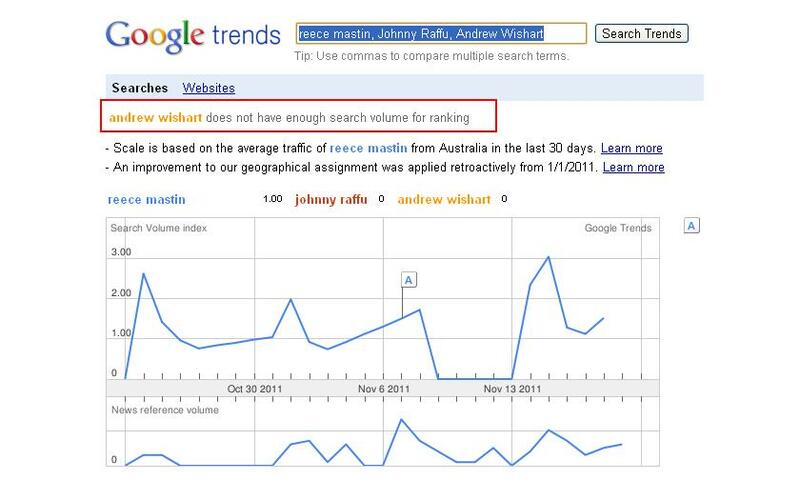 If the public opinion vote is accurate and search interest is similar to the number of votes a contestant receives then it looks as though Johnny Ruffo will just pip Reece Mastin for the 2011 X-Factor title (with an Andrew Wishart a clear 3rd place. 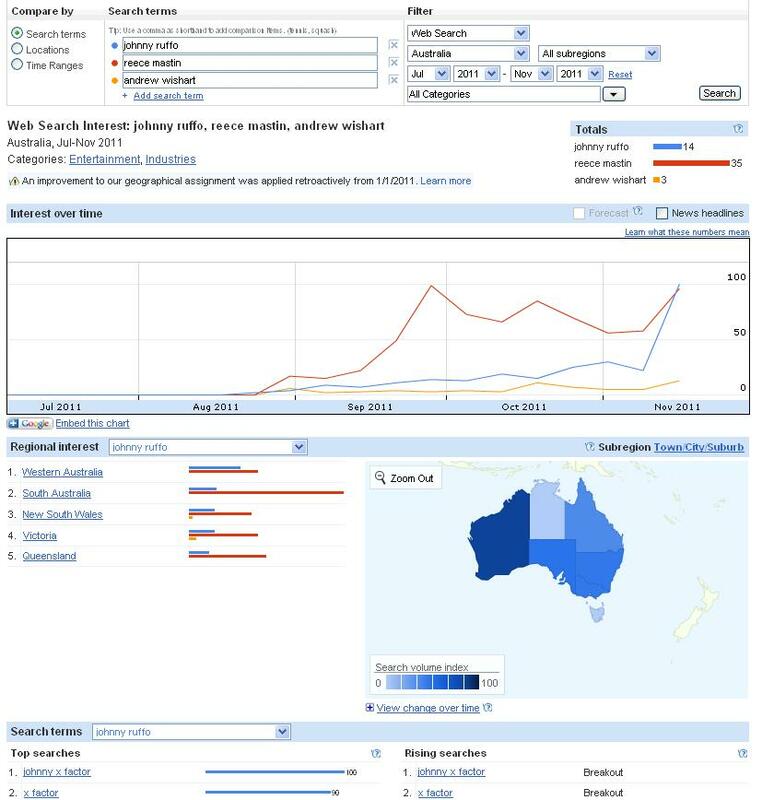 However, if Adwords historical search data is to be trusted then Reece Mastin should win. The consensus appears to be Reece Mastin to win the competition despite some late Google Insights data indicating Johnny Ruffo. Based on social media alone (Facebook) Reece will win and this is confirmed by Google Trends and the Google Keyword Tool. Andre Wishart must have a strong off-line fan base of sms voters as his online trend and search performance is weak. Winning formula for X Factor favourite – 22 November 2011 – The studio audience, an online bookmaker and a Social Trends Specialist Brad Forster are all in agreement about who will win The X Factor tonight. X-Factor is slightly easier to metricate then say… the Oscars, as eliminations are determined by social sentiment and not a closed panel of elite judges selecting between themselves. The beauty of reality TV shows is that they can take on a life of their own as a contestants public profile is only as good as their last performance. While some of these shows are scripted (so as to avoid the record companies losing the best contestants early) the end result is generally up for public debate between two or three performers. 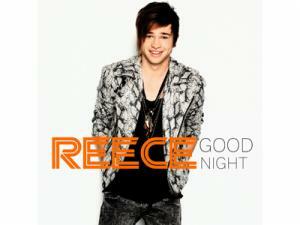 In the case of Australian X-Factor 2011, Reece Mastin had a huge Facebook following and 5x more organic google search traffic. If you examine the volume of people discussing his talent on twitter he was a constant trending topic even in regional Australia. The only ‘chink’ in this data evaluation armour is the assumption that people searching for info on these contestants are also going to SMS votes to the television number. With two young guys and one older contestant the young demographic vote can be essentially split between Reece and Johnny while the older contestant (Andrew) received the balance of mum/dad votes thereby making him a reasonable contender to at least take the final 2 spot even with an atrociously low online fan base and rarely a mention on mainstream entertainment / celeb / gossip / websites. I suspect the finale matched popular opinion and there are now more happy with the result people than not; however I’m always dubious to guess at what the winning margin was between the pair considering there is never an official visibility of the numbers making up the elimination poll. All we have to go on is search data (that doesn’t lie) and social media sentiment that can sway public opinion more than a scripted reality TV singing show. In this case: data won.